Posted: Friday 26th June 2015 in Owned and earned media, Paid Media, Retail Strategy, Thought Leadership. The year of the mobile was so last year… and the year before and the year before that too. 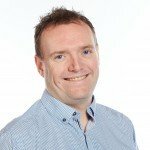 We have seen the debate go on for some time on when mobile would start to play a significant part in a customer’s path to purchase. It’s clearly here to stay now, with stats detailing its importance reported by the likes of Econsultancy and Forrester. I am not going to use this opportunity to regurgitate such stats to support why retailers need to have a mobile strategy in place. What I do want to talk about is how I use the strategy of media partners like Google to aid in my thinking of what retailers should start to think about next. So what has Google done to support the growth of M-Commerce over recent times? In the paid media space, the launch of enhanced campaigns was negatively received initially as it appeared to take the sophistication out of managing mobile search campaigns. On reflection however, the enhanced campaigns update has offered a way of managing campaigns at scale by device, location and audience. In the natural search space, Google recently launched an algorithm update, nicknamed ‘Mobilegeddon’, with the aim of benefiting brands that have a user friendly, responsive site and also to start rewarding brands that have a mobile app. There have definitely been some clear winners and losers following this update. More recently, Google has been working with top UK agencies to encourage thought leadership around mobile apps; an area which remains largely unexplored by many retailers. There are a handful of retailers in the U.K., including Argos and Amazon, who are doing it well, with other brands including ASOS moving with the technological trend by of launching an app on the Apple iwatch. However there are 100s of retail mobile apps which either have never been downloaded or have immediately been deleted as a consequence of not adequately servicing customers’ needs. Many of these were developed when app technology was first launched, often for development’s sake, without sufficient thinking about the customer challenges that retailers need to answer. This has driven a lack of ownership, accountability and understanding of the real value of mobile apps for many brands. 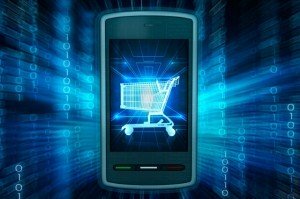 So why should retailers start thinking about Apps again? I am not simply suggesting that Google’s focus on this area is reason enough for retailers to begin thinking of a mobile app strategy. There are multiple use-cases in the U.S. (Walgreens, for example) which suggest that multi-channel retailers should be seriously thinking about how an app can encourage customers to buy from them, rather than walking into a competitor brand’s store and purchasing the same product. The ability to compare prices in an instant or receive push notifications with discounts for purchasing in store is sure to increase purchase intent. In conclusion, developing mobile apps shouldn’t be the initial focus for retailers. It is important to first ensure that a mobile friendly site is readily available for the customer, and that it is continually optimised. There also needs to be further development in the industry across cross device measurement to ensure that mobile advertising is maximised. Thinking medium-to-long term, it is not a given that every retailer should have a mobile app, but it should form part of the consideration set and, if developed, it should be complementary to a retailer’s web and in-store experience. If you have any questions or would like to know more about how we can help you make more money online contact Dave Trolle on 01482 876876.